Please see below for more info on the MISSION COMPLETE! Event. Are you ready to complete some missions? Complete 2 missions every day to get various rewards! Defeat Monsters in the [Scenario & Cairos Dungeon] every day! Enter the [Arena & Guild Battle] every day! * [No. of defeated Monsters (Today)], [No. of entries in the Arena & Guild Battle (Today)] reset every day at 8am PDT and the reward is available once a day. * For Guild Battle, you must play both rounds against an opponent to count as 1 time for the [No. of entries in the Arena & Guild Battle (Today)]. * Monsters are added additionally as above per battle you won and Monsters won't be added additionally if you lose the battle. * All Monsters will count only once even if they're revived through revival/resurrection skills. * For the mid-boss, the count will go up for all nearby Monsters even if you only defeat the mid-boss. For the final boss, the count won't go up for nearby Monsters if you only defeat the boss. * The count won't go up if you defeat your own Monster stolen by the Boss in Necropolis. Get rewards based on the no. of mission completions from [Mission 1] and [Mission 2]! - You can complete Mission 1 and Mission 2 once a day. - [No. of defeated Monsters (Today)] and [No. of entries in the Arena & Guild Battle (Today)] reset every day at 8am PDT and the reward is available once a day. - [Total no. 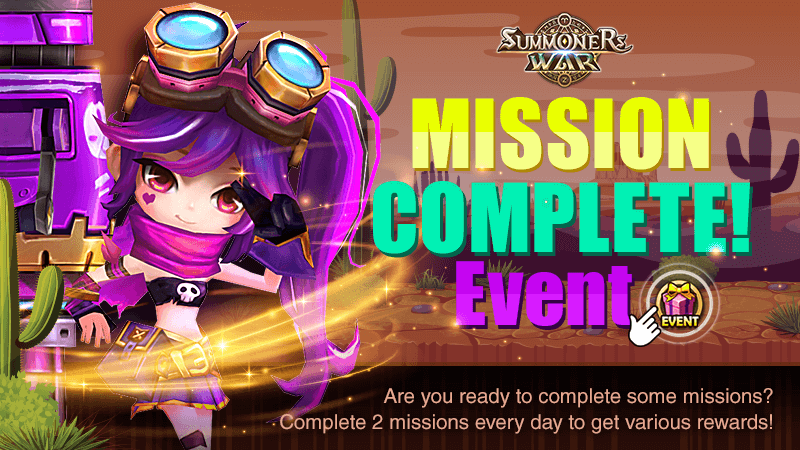 of mission completions] count will go up whenever you complete Mission 1 or Mission 2 from the Event 1. - All rewards from the [total no. of mission completions] are available only once per account. - The rewards will be available for 24 hours after the event ends. It's sad. I've been working so much this past month that I have not been able to complete or keep up on events at all. Most days I am just farming as I can't even pay attention to the game. which building you targeting for dark homie? xaviertkk - I went with the Unbalanced Field build, mainly due to its uses in ToA/H. I just finished evolving her skills, so now I just need to devilmon her. they're lowering it from 2000 to 1000 starting today. It was 1-2 hours of rune farming every day for a mere 5 LD pieces. It was obviously excessive. Stop being a twit.